You have probably dreamed of being a tutor superhero with a cape and a brazen “ST” for Super Tutor on your chest. You swoop into the wreckage of a dilapidated five-paragraph structure on the verge of collapse and save the day by muscling into place an unshakeable thesis before rescuing panicked, scrambling ideas from their doom. This scenario may look appealing in your dreams or in comic books, but at the Writing Center, we work hard to make the students the superheroes of their own writing adventures while we step back and provide the degree of support that each student needs. To play this role effectively, we engage in consistent professional development. This handbook is intended to orient new tutors and serve as an ongoing reference manual and repository of the tools of our trade. It is a living document that will evolve over time as tutors grow professionally. You are welcome to use this handbook however it works for you. A thorough initial read should give you a strong orientation to tutoring as well as the unique features of our work at City College. Chapter 2 may serve as your initial step-by-step guide to sessions before you add your own tutoring flavor to the mix. You may wish to refer back to the manual as a troubleshooting tool when you face challenges in your sessions. It can also be a reference guide to further sources of information on grammar rules, essay structure, or ELL-related issues. 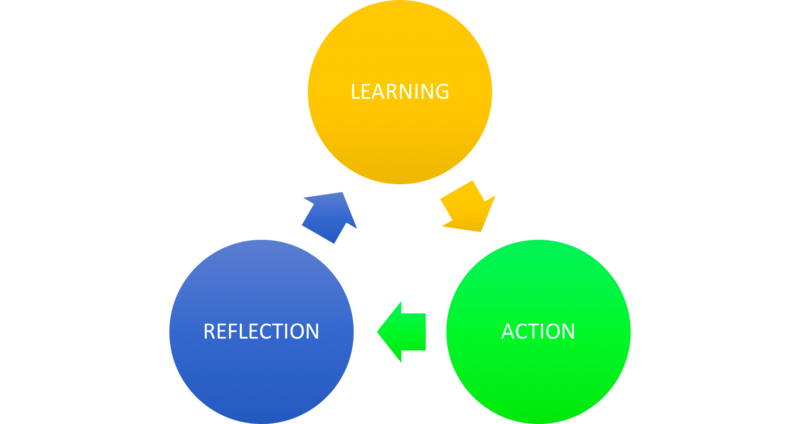 Overall, the handbook can be a tool for reflection and continual growth as you gain tutoring experience, reflect on your sessions, and seek to improve your skills (see Figure 1). When recalling a session, try taking a bird’s-eye view, describing what happened, analyzing why it happened, and making a plan of action to enhance your skills. Tutoring, like writing, is a recursive process, and this handbook can accompany you as you follow your own path.